Found this on the iPod today, wonder where I picked it up? I like it though, seems like the perfect thing to be listening to right now. Take a listen to Talkdemonic. 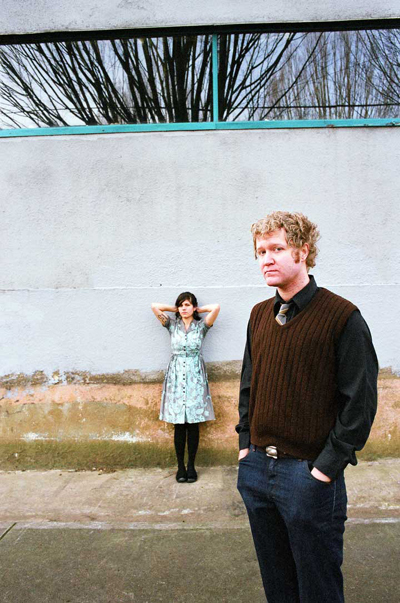 Portland based duo formed in 2002 made up of Kevin O’Connor and Lisa Molinaro. Again, as their bio indicates, I’m using that folktronic word again to describe their sound. Think an instrumental hybrid of post-rock and electronica with strings. The pair have opened for some big artists (CYHSY, M83, Explosions In The Sky) in the past and are currently doing dates down the west coast of the US. Me personally, I’d pair them up with bands like Do Make Say Think, sounds like a good fit. Check out Moutain off Beat Romantic (early 2006).